Designs for the new construction of a 36,000 square foot entertainment center channeling the spirit of Universal Studio’s roots in Gothic Romanticism for construction in city centers all over the world. Designed to attract guests to lounges, a restaurant, bars, private party rooms and a performance space. 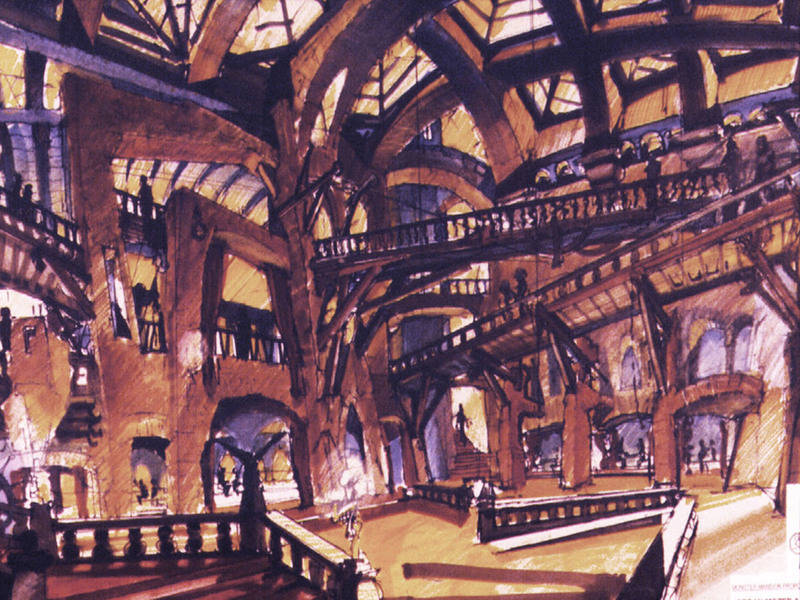 Inspired by sets from Universal’s early 20th century films inspired 18th and early 19th century literature and artwork, including Mary Shelley and Giovanni Battista Piranesi. Designed to differentiate Universal Studios from rival studios.